Ideal situation to run your own business from the main building and live in the upstairs spacious apartment located in Downtown Alden with village zoning. Would be an ideal setup for a professional (doctor, lawyer, counselor, etc) office and owner could live in the 1 bedroom apartment upstairs. circle drive and small parking area. 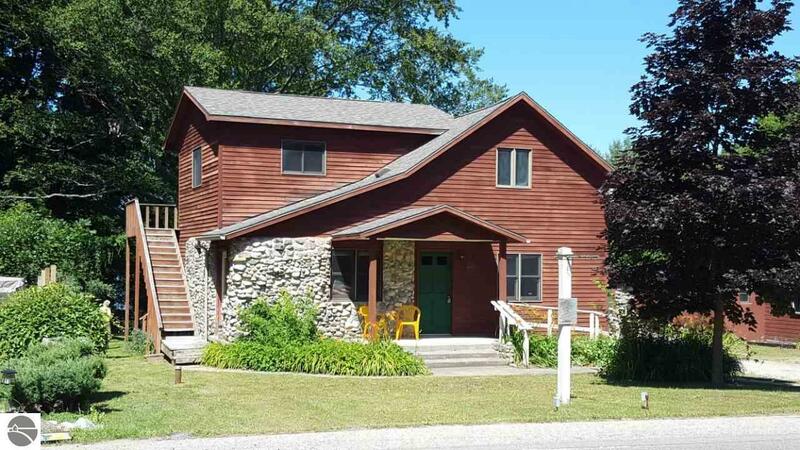 Walk to Alden stores and activities, Torch Lake swimming and boat launch right around the corner!